Drew Barrymore’s Classic, Quiet Wedding! 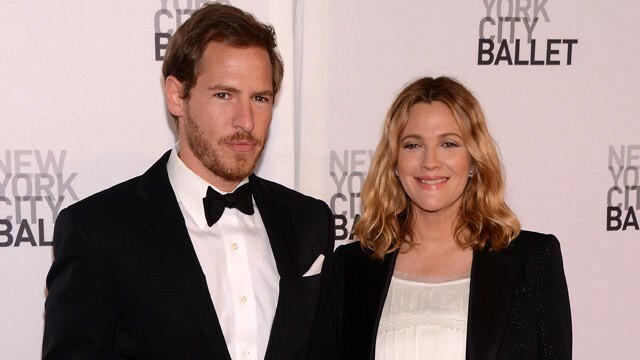 Drew Barrymore has tied the knot with her five month fiancé Will Kopelman. The ceremony took place in her Montecito home in California on Saturday. Will Copelman is an art consultant and son of former Chanel CEO, Arie Kopelman. Drew Barrymore wore a long white dress made of pleated muslin and organza, designed by Karl Lagerfeld. The skirt of the dress had lovely embroidery of flowers made of muslin, organza, feathers and tulle. Barrymore, whose baby bump was showing, wore a black satin strip around the waist and Chanel Fine Jewelry. At the reception, the bride added a black tweed Chanel jacket to her attire. Cameron Diaz, who is Barrymoe’s best friend, accompanied her and helped for the final fitting of the bridal ensemble at Chanel in Beverly Hills on last Wednesday. The ceremony on Saturday was an example of a simple, classic, very beautiful, garden wedding. Among the guests, there were Cameron Diaz, Busy Philipps and Jimmy Fallon. The couple was engaged to each other while holidaying in Sun Valley, Idaho, just past this winter. Their relation was first revealed in February 2011, just after the Wedding Singer actress split with boyfriend Justin Long. Barrymore had expressed utter happiness about her future in-laws on the occasion and told that she loves them as much as she loves Will. Barrymore’s pregnancy is yet to be confirmed and she wanted to get married before the arrival of the baby. Drew Barrymore is twice married before, first in March 1994 to Jeremy Thomas, the owner of the Welsh Bar, and second time in July 2001, to comedian Tom Green.